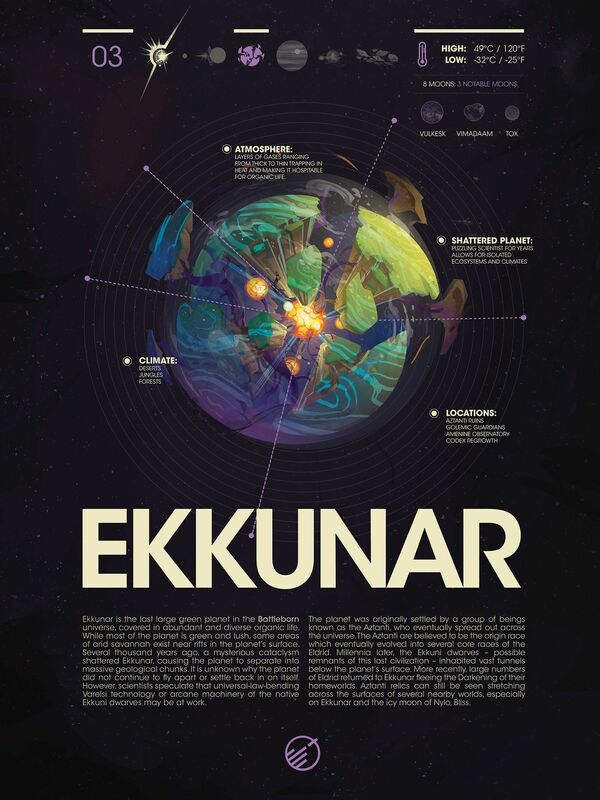 The planet Ekkunar is striking for two reasons. First, it’s the last large green planet in the universe. Most of the planet consists of abundant organic life, occasionally fading into arid savannah. Very little of the planet consists of desert or polar caps, and large diverse vegetation covers most of the planet. Second – and most notable – the shattered planet defies all scientific explanation. Some cataclysm fractured the planet several thousand years ago. While still basically spherical, huge geological chunks of the planet are separated from one another, exposing the molten core of Ekkunar. The brightest scientists in the remaining universe are still trying to ascertain why the planet hasn’t flown apart or settled back in on itself. The best guesses still fall back to near mysticism, citing the universe-law-bending Varelsi or some arcane machinery of Ekkuni Dwarves. 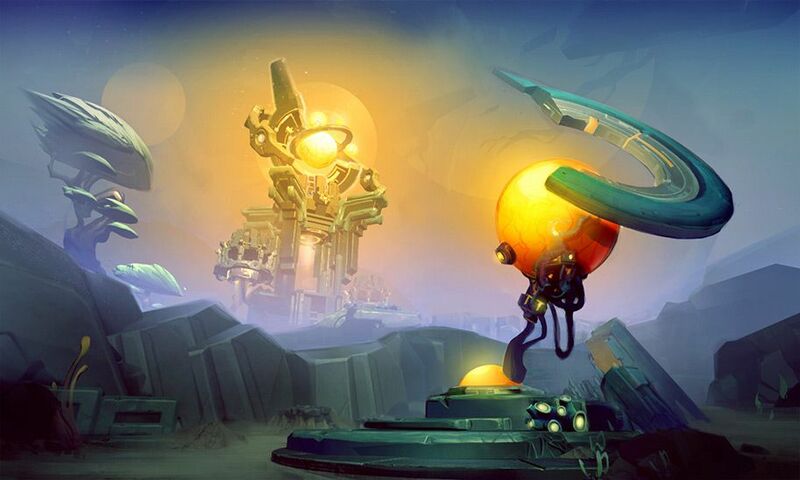 Ekkunar was originally settled by a group of beings known as the Aztanti whose relics can still be seen stretched across a few of the remaining planets. The Aztanti spread out across the universe and are believed to be the seed race which grew into the Eldrid. 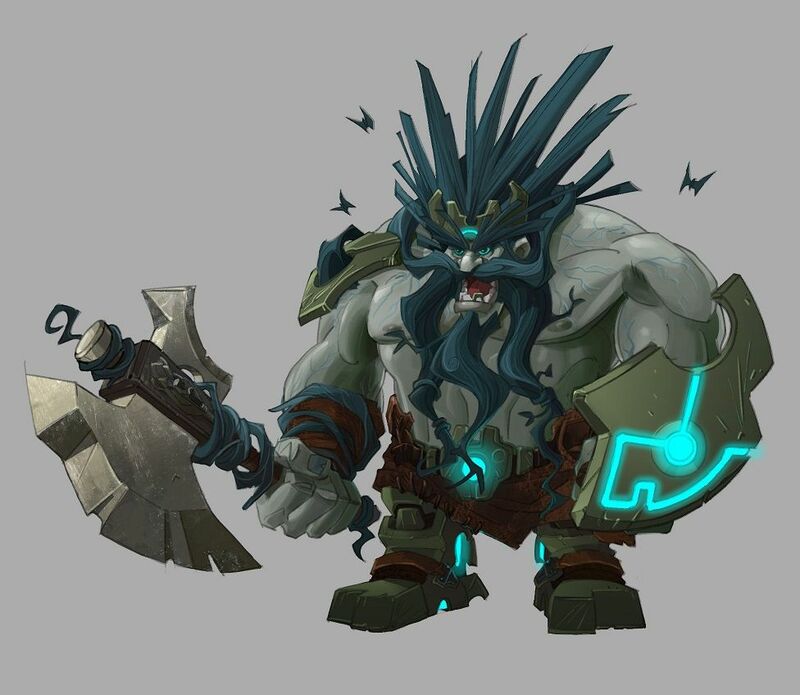 Many millennia later, the native Ekkuni Dwarves are believed to inhabit vast tunnels below the planet’s surface. Possessing an innate mystical understanding of botany and geology, the Ekkuni Dwarves harness the rocks and dangerous local flora to craft it into wearable pieces. Only within the last 50 years or so have Eldrid groups returned in large numbers to Ekkunar, as their own worlds have been overrun and darkened by the Varelsi. The Aelfrin re-settled Ekkunar en masse in 19905 C.R. after the darkening of their homeworld Eshteni. The Peacekeepers tried to settle on Ekkunar about 25 years after that, but were driven off-world by the very territorial Aelfrin supported by other Eldrid settlers. 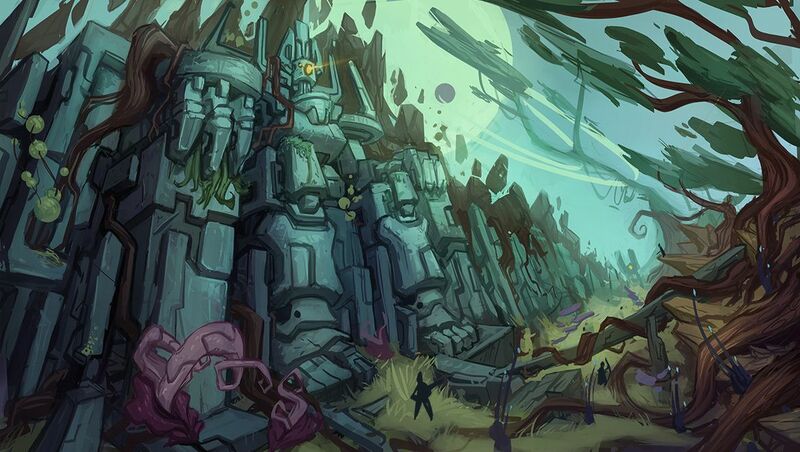 Ruins of the ancient Aztanti are scattered across the planet. Even to this day they are inexplicable in size and the way they have withstood the wear of time. One of the greatest features of the ruins are massive (but now inert) golemic [DG(1] guardians crafted by the Aztanti for purposes unknown. They are often half-buried or intertwined with jungle growth. To further advance research into Varelsi phenomena, the Eldrid built the Amenine Observatory. Legendary Eldrid Observer Mossire founded the research center shortly after the Eldrid’s re-settlement of the planet as a way to look into the nature of the Varelsi, their portaling technology, and how to best defeat them. The Codex Regrowth is a testament to the Eldrid’s determination to gain knowledge and preserve the natural order of the universe. 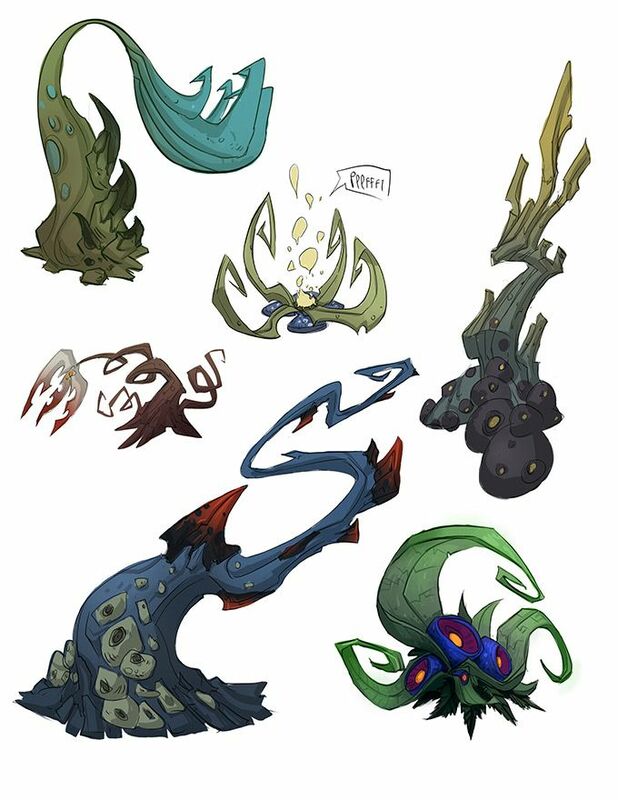 There, the Eldrid have re-planted several seed-pods from the planet Codex in an attempt to re-grow the massive eliim trees and recover some of their lost knowledge troves. 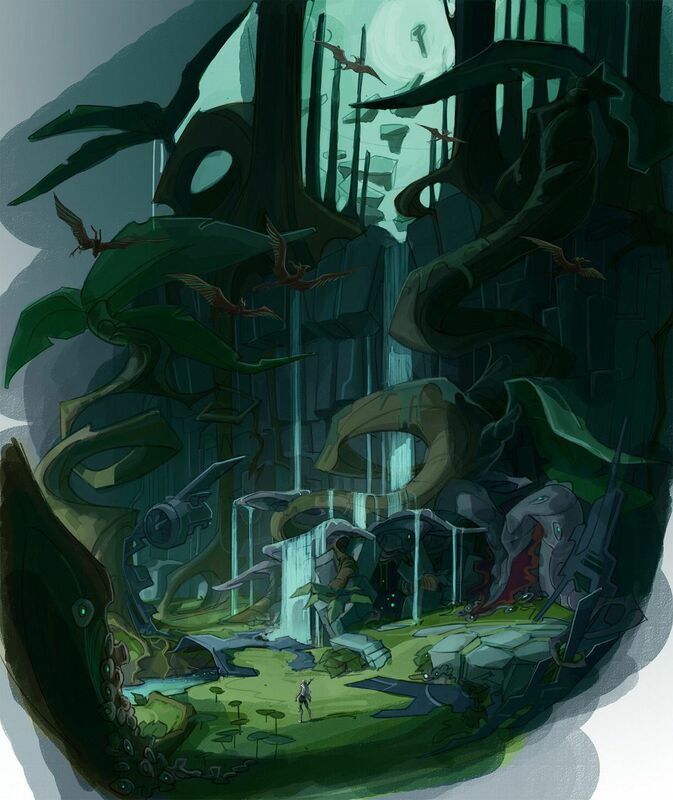 The grove of eliim trees are bio-engineered to be organic knowledge repositories capable of storing massive amounts of data, which only the Eldrid have the technology or ability to retrieve. Learn more about the Eldrid faction and the inspiration for their design.